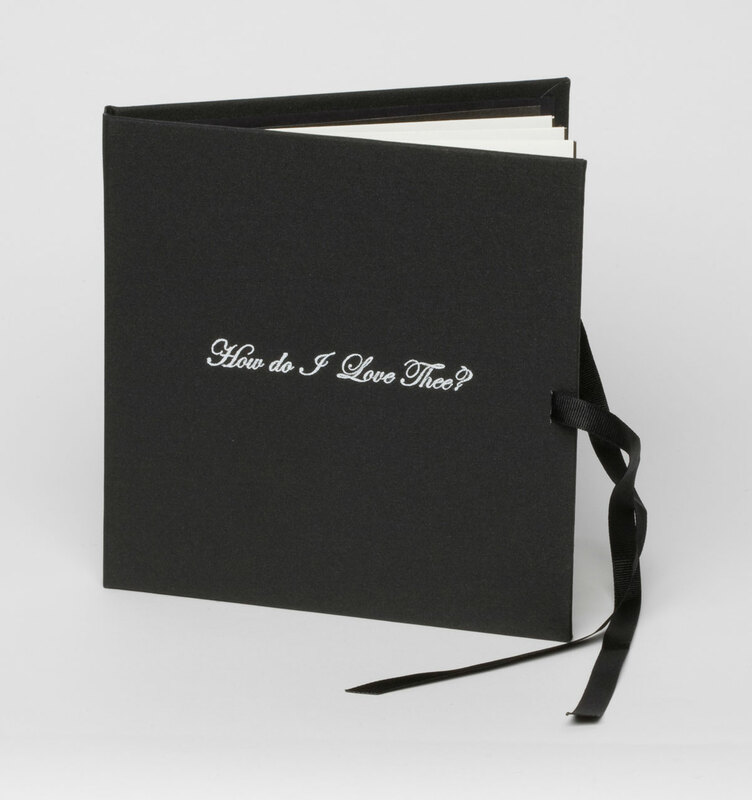 A collaborative book; inspired by the Romantic poet Elizabeth Barrett Browning’s Sonnet 43. An example of how far people in love will go to keep it. Pages were sent back and forth from the UK and Australia and then printed and laser cut at the Centre for Fine Print Research, UWE Bristol. 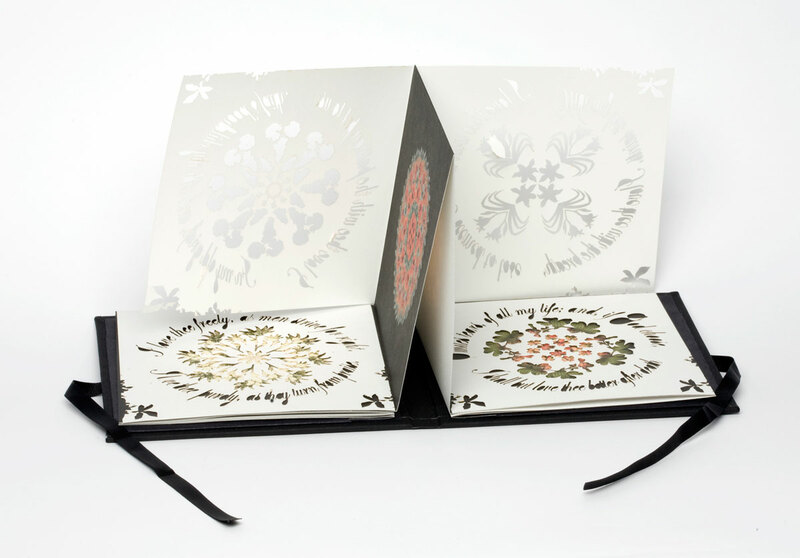 Cover by Bristol Bound Bookbinding. 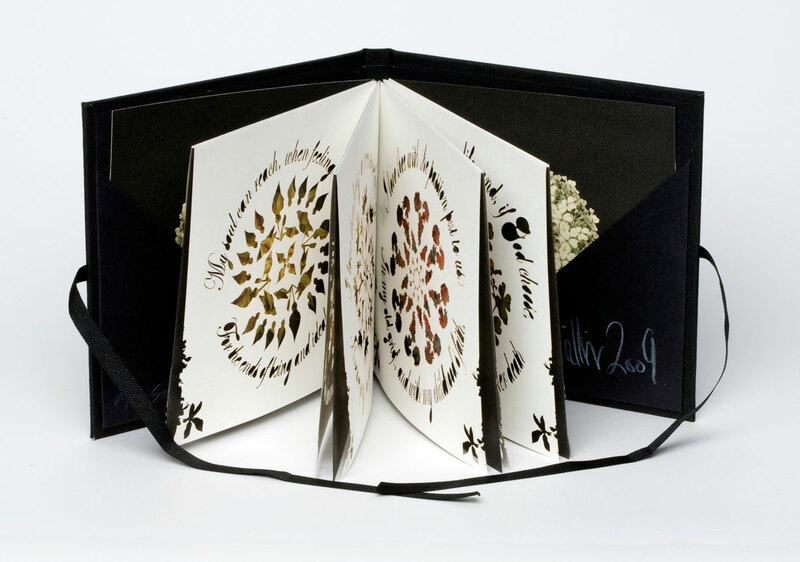 The artists second collaborative book, brought together by a mutual interest in the darker side of human nature. The pages reinterpret the sentiment of the original sonnet, and notions of nature (and human nature) as something beautiful and safe. What lies beneath can be very sinister.